Moutere Inlet on the Moutere River mouth. Seagulls, shorebirds and waders feeding at low tide. 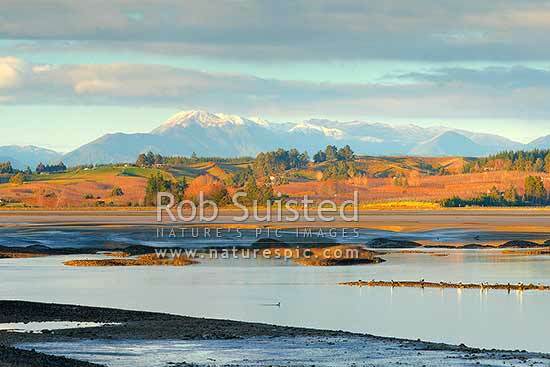 Wintery Richmond Ranges beyond, Motueka, Tasman District, Tasman Region, New Zealand (NZ), stock photo.